Above - The Facade of the former Gravesend Super Cinema in September 2017 - Courtesy Philip Paine. 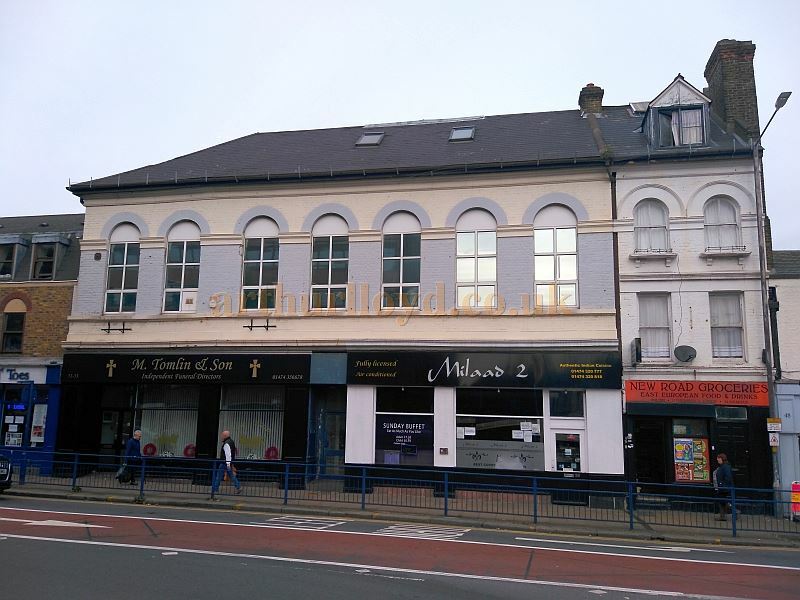 The building which stands at 50 New Road, Gravesend today, and is currently home to an Indian Restaurant and a Funeral Director, originally opened as Gravesend's Public Hall in 1891. The Hall, which was situated on two floors and split into two public spaces, could accommodate 1,300 people when it first opened. However, by 1908 the upper Hall had been converted into a Cinema, and the following year the lower Hall was also converted into a Cinema called the Popular Picture Palace. In 1915 the building began hosting live shows as well as films and became known as the Palace Theatre, but this was short lived and it was soon back in full time Cinema use again, this time as the Empire Picture Palace. By 1925 the name had changed again, this time to the London Theatre, and in 1930 it was renamed as the Rivoli Music Hall for a short while before becoming the Regent Cinema in 1932. 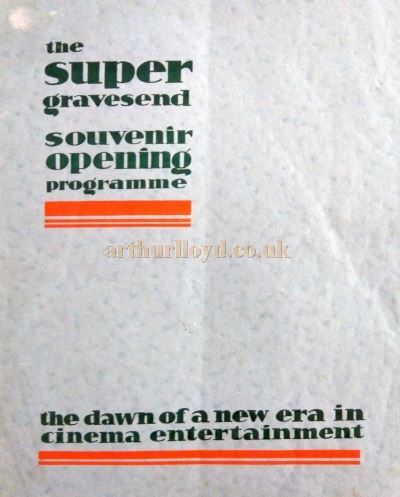 Right - The opening programme for the Gravesend Super Cinema in 1933 - Courtesy Philip Paine. See details below. In 1933 Union Cinemas took over the Cinemas and opened up the whole building, converting it into a so called 'Super Cinema' with seating for 954 people. The conversion, which was designed by A. H. Jones, included a plush interior with walls 'treated in a shade of peach and silver'. 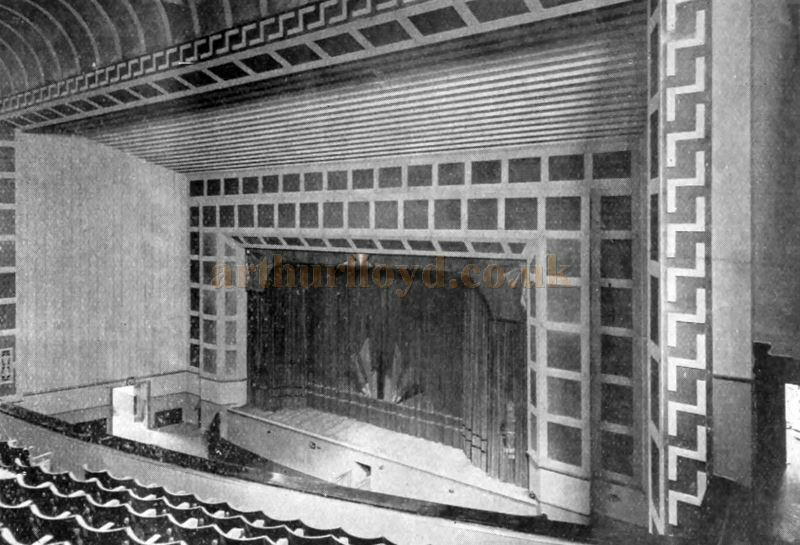 The new Cinema also included a small stage, 24 feet wide by 14 foot deep, with a fan shaped proscenium. The Theatre also sported its own Compton Theatre Organ with Illuminated rising Console, played by Alex Taylor on the Theatre's opening. At the time the Cinema was promoting itself as having the best sound and lighting system in the country. The Gravesend Super Cinema opened with a showing of the film 'Cavalcade' on Saturday the 16th of September 1933, and was graced by the presence of Anna Neagle. Max Miller is reported to have performed here a few years later on the 16th of November 1935. The following year the Theatre's Compton Organ was removed and reinstalled in Union Cinemas' newly constructed Cinema in Scunthorpe. 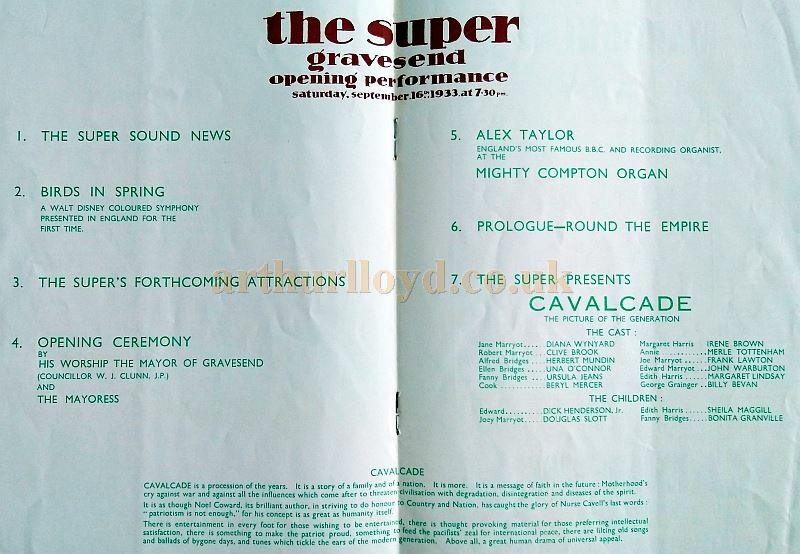 Above - The opening programme for the Gravesend Super Cinema in 1933 - Courtesy Philip Paine. ABC took over Union Cinemas in 1937 and they would run the Gravesend Super Cinema until its eventual closure on the 23rd of November 1958 with the film 'Next to no Time'. After the Theatre's closure the building was demolished, apart from its facade, and rebuilt as a Bejam Freezer Centre. Remarkably, despite all the many changes over the years, the Theatre's Facade remains to this day. 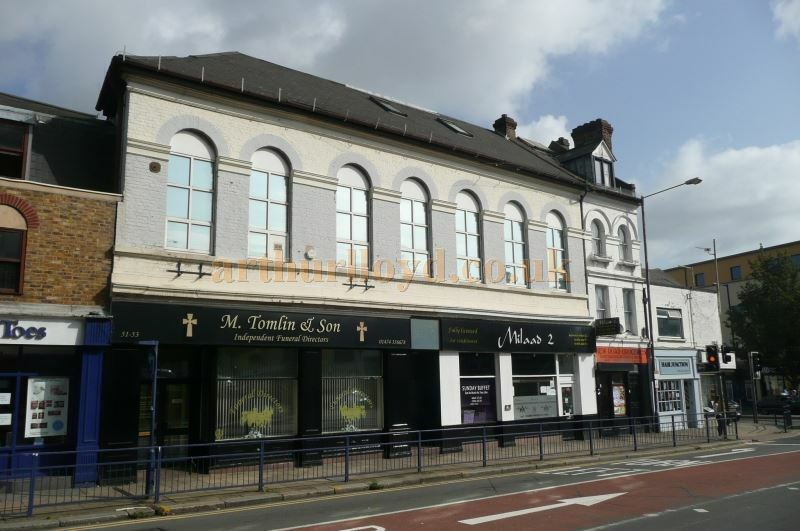 At the time of writing the building's ground floor, which is split into two units, currently houses as an Indian Restaurant and Funeral Director's, the upper floor is currently empty. Some internal and external photos of the Gravesend Super Cinema can be seen here. Much of the above information on the Gravesend Super Cinema was kindly sent in by Philip Paine, along with some details gleaned from the excellent Cinema Treasures Website. Above - A google StreetView Image of King Street, Gravesend and the Facade of the former Majestic Theatre to the near left - Click to Interact. The Majestic Theatre was constructed for the Gem Theatre Company, and designed by the local architect George Clay, with construction by local builders A. E. Tong & Son. The Theatre opened on the 1st of October 1931 with a showing of the film 'Rookery Nook'. The Theatre's auditorium was on two levels, stalls and circle, with seating for 1,800 people. The Theatre was built primarily as a Cinema although it was also equipped with a small stage with a 40 foot wide proscenium opening and a depth of just 10 feet. The Theatre also housed a cafe for its patrons. The Bioscope Cinema Magazine reported on the opening of the Majestic Theatre in their 7th of October 1931 edition saying:- 'A new motion picture theatre for Gravesend was opened last week. It is the Majestic, in King Street, and is the venture of the Gem Theatre Co., whose chairman is A. E. Tong. Built to seat over 1,800 patrons - 1,083 in stalls and 755 in the balcony - the cinema was designed by G. E. Clay, A.R.I.B.A., of Gravesend, and had for its builders A. E. Tong & Son, also of Gravesend. The facade in King Street is of Portland stone, in the dignified Palladium style, and, as such, is an ornament to the architectural features of the town. The entrance hall, with its black and white marble floor, coloured marble wainscot, is equally classic in appearance, and well provided with light. Its atmosphere is enhanced by excellent examples of woodcraft, in its fine mahogany doors and pay box. The entrance hall leads by four broad and shallow steps to the lower foyer, in which a similar style of decoration has been used to good effect upon the grand staircases and the doorways to the lower auditorium. ...First-class seats have been provided in all parts of the auditorium. All are exceedingly well sprung, have comfortable back rests and are designed to give adequate knee room to all patrons. The seats, carpets, cork carpet and curtains were supplied by Beck & Windibank. The auditorium lighting is an extremely interesting feature. The equipment was supplied by and installed under the direction of Holophane, Ltd., who co-operated with the architect in the preparation of a special scheme of interior decorations. Decorations take the form of large square panels, relieved with green motifs over the proscenium arch, while the ceiling is of panel formation, interrupted by octagonal panels - taken up by ventilating grilles and six Holophane prismatic glass ceiling fittings. Special tones of blue and orange have been used for the colouring, and some magnificent changes of colour and relief take place when the Holophane colour lighting equipment is put into movement by the three-way hand-operated colour controller in the operating box. Certain combinations give the orange panels an appearance of squares of fire of infinite depth, set in surrounds of delicate greens and blues. The coloured panels are set off in contrast against the proscenium, which surround, commencing at the proscenium opening, widens out into an imposing frame occupying nearly the full height and width of the theatre. 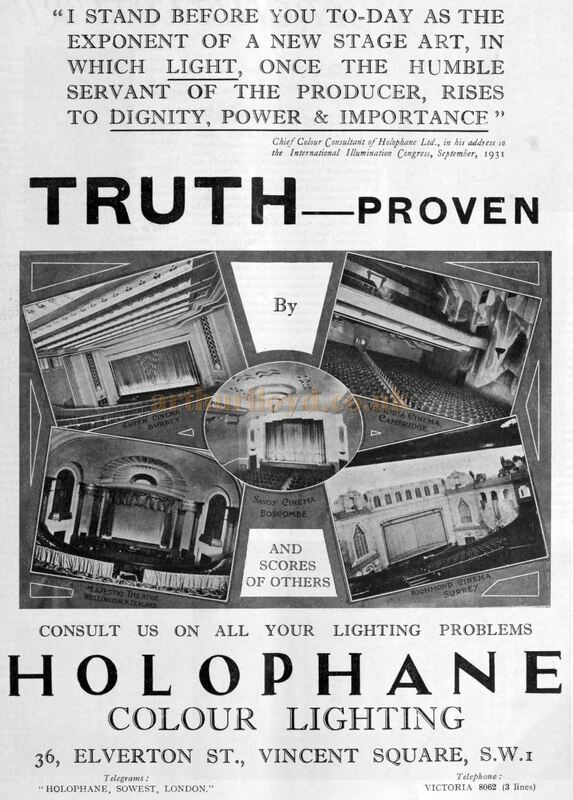 The surface of this frame is of prismatic formation with a special white surface, the prismatic formation presenting the appearance of a large number of narrow strips of white, which span the auditorium and are lighted in colour by Holophane No. 70 type troughs. The "Heart of the Cinema" - the projection room - is equipped with Kalee 8 machines, on B.T.H. sound bases. The screen is the "Premier" make, by Thos. Sharp & Co. Ventilation and heating are on most modern lines, complete with apparatus for warming or cooling, and cleansing, and designed to change the atmosphere completely every 15 minutes. Edgar Fitton & Co., Ltd., were the engineers. The above text in quotes was first published in The Bioscope, 7th of October 1931. The Majestic Theatre opened on the 1st of October 1931 with a showing of the film 'Rookery Nook', which was later renamed 'One Embarrassing Night'. The Theatre was taken over by Union Cinemas a few years later, in December 1933, who installed a Compton Theatre Organ which was played by Reginald New on its inauguration. Union Cinemas were taken over by ABC in 1937 and the Majestic Theatre would be renamed as such in 1963. ABC later tripled the Theatre in 1972 with the familiar layout of one large Screen in the former Circle and two more screens in the rear of the former stalls. Taken over by Cannon Cinemas in 1986 the Theatre was renamed accordingly, but by the 1990s it had been renamed MGM for a short while before a management buyout returned the ABC name. However, Odeon took over soon afterwards and they leased the Theatre to an independent operator with the proviso that it wouldn't show English Language films. Consequently it reopened as a Bollywood Cinema under the EMD name. The Cinema was finally closed in 2002 when it was bought by the United Church of the Kingdom of God who converted it for Church use. The Church left the building in 2006 however, and the Theatre then remained empty until a fire in 2009 destroyed the roof and resulted in the rest of the building being subsequently demolished, although the facade remains to this day. Some of the later history for this Theatre was gleaned from the excellent Cinema Treasures Website who have some interesting images of the building here. 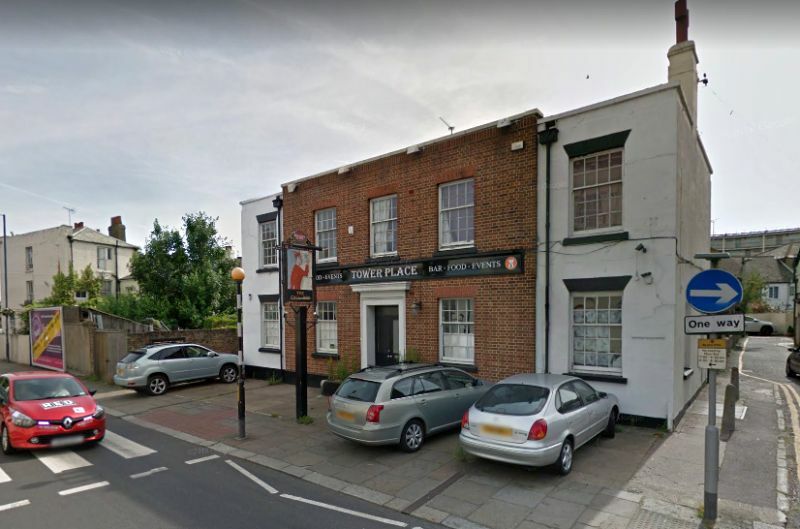 Above - A Google StreetView Image of the Tower Place Public House which is situated on the site of the former Assembly Rooms and Grand Theatre, Gravesend - Click to Interact. The Grand Theatre of Varieties was situated at the Northern End of Harmer Street, Gravesend. The building first opened in 1842 as the Literary Institute, which was the town's Assembly Rooms and Library, designed by local architects Cobham and Wright, and built at a cost of £3,000. The Assembly Rooms also housed an Organ which had been presented by Alderman Harmer, the street the building stood on still retaining his name today. Arthur Lloyd is known to have performed at the Assembly Rooms in 1870 and 1871, and his Grandfather, Robert Lloyd, retired to Gravesend in 1861. For a while the Institute building became known as Kelner's Bazaar', named after its then proprietor, but in the 1884 the building was converted into a Theatre called the Prince of Wales Theatre. Later this was renamed the Grand Theatre of Varieties in 1900. 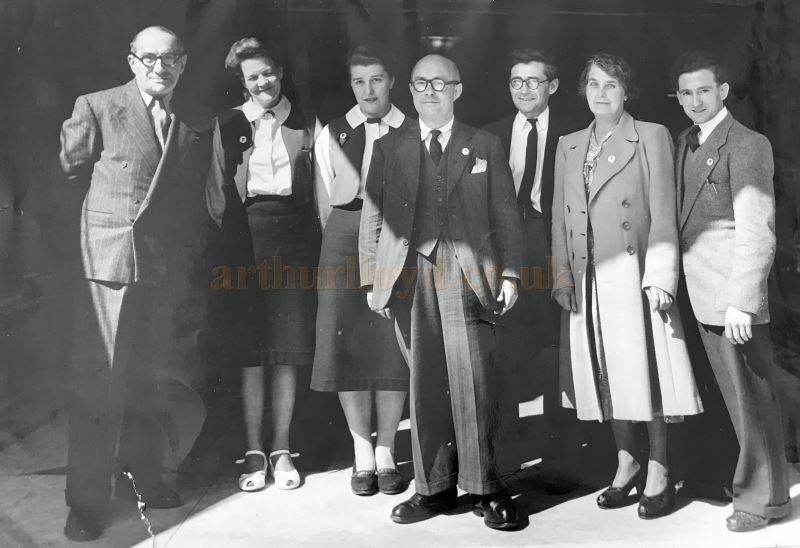 Percy G. Court worked as a Stage Manager at the Grand Theatre in its opening year of 1900, in his 1953 memoirs entitled 'Memories of Show Business' he writes on his time working there saying:- '...I had accepted a Stage Manager job at the Grand Theatre Gravesend, and to that town I hurried. It was at this theatre that I learnt quite a lot of stage craft even though, I was here only four months. The stage was only eighteen feet deep - that is from the proscenium opening to the back wall. The Act drop was the old fashioned roller principle, having two lines, wound round the huge cylindrical wooden roller, which is called "a tumbler" at the bottom of the Act drop. Here are some of the artists who appeared during my brief stay at Gravesend as Stage Manager: Harry Champion, Tom Eno, Gus Garrick, Chas Paver, T.L. Dryden, The Lorch family, a team of wiley acrobats, John Lawson, in "Humanity" a sketch from The Tragedy The Northumberland Street Affair: this sensation was a big success everywhere: much depended on effects I.E. a huge staircase falling: with a room of furniture smashed to pieces and a chandelier as a climax. It was this show which determined my departure from the Grand, Gravesend and in years after - the same artist bought me ill luck. On the Monday's performance I was to have extra scene shifters, these were attendants from the front of the theatre i.e. ticket collectors. The staircase was built on the P. S. "prompt side" of the stage which is from the audience looking at the stage - the right hand side. Strong wires to the grid held it in position which was through pulley blocks and back to the stage, a large crutch was placed under it but this was taken away at a warning "cue" to ensure a real collapse of the staircase. At the newel post at the bottom of the stairs was a papier mache figure of a lady holding a cluster of lights, somehow there was confusion in the cues: my job was to ring the curtain bell at the word "go" - this was from the Stage Manager of the Company "Chas Boon", I also had to work the P. S. limelight and the gas plate dimmer. The men that were in charge of the wires of the stairs was given a similar cue, but when the cue was given and the stairs should have fallen - nothing happened, these men that were detailed, were more interested in watching the show, through the scenery, seeing their mistake they dropped the stairs before the exact cue. The large model with lamps disappeared into the orchestra pit and smashed the bass vial of a musician, the curtain fell too a little previous as the chandelier fell with it on John Lawson. This terminated my first stage manager job. ...I must say something of the famous Lupino family. I first met them at Gravesend where I was Stage Manager at the Grand Theatre. They were five or six in the company known as Jones and Lupino, in the scene Jack Sheppard. They arrived, with scenery and baggage, the whole of the company sitting on top: all the way from the Aquarium Theatre, London, in the Westminster Road. Barry Lupino was a boy about sixteen or seventeen years of age; old George Lupino used to come up a trap in the stage, and leap about ten feet high, afterwards to complete one hundred pirouettes which are counted to the audience. The Lupino family, if I remember right, is Old George Lupino, Barry Lupino, Wallace Lupino, Arthur Lupino, afterwards others followed the stage including Ida Lupino film star, Mark Lupino was a very clever comedian but he died in his early twenties.' - Percy G. Court, 'Memories of Show Business' 1953. The Grand Theatre was sold in 1927 and finally closed in 1933. A Public House called the Assembly Rooms attached to the Theatre remained open however, until its roof collapsed in 1952. A new Public House called the Call Boy was subsequently constructed on the site in 1953. At the time of writing in 2017 the pub is currently called the Tower Place. 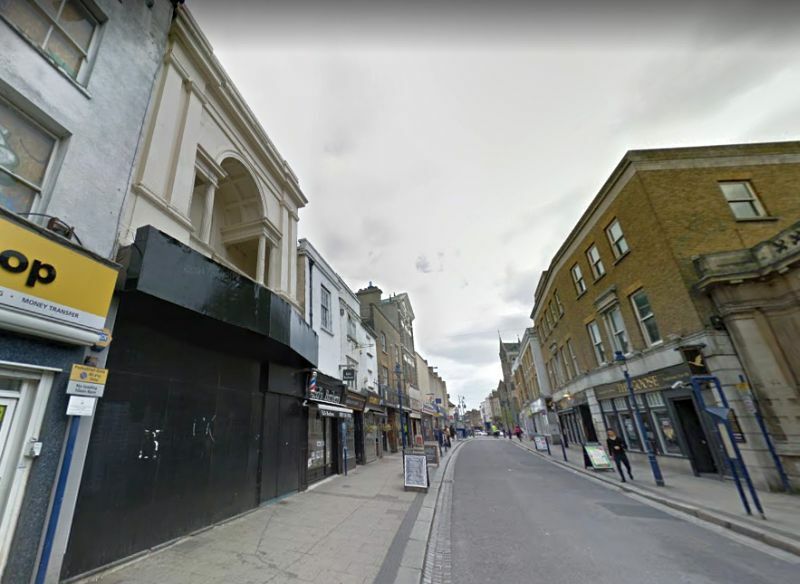 Above - A Google StreetView Image of the site of the former Theatre Royal, Gravesend - Click to Interact. The Theatre Royal was situated on the corner of New Road and Garrick Street in Gravesend, and was in business from the early 1800s until 1883 when it was bought by the Salvation Army for conversion into one of their Citadels. A photograph of the Theatre after it had been taken over by the Salvation Army can be seen here. When the Salvation Army took over the building the ERA carried a short report on its history in their 2nd of June 1883 edition saying:- 'The Salvation Army completed the purchase of the Theatre Royal, Gravesend, on Thursday last, and will, therefore, shortly take possession of a dramatic establishment of no great architectural pretensions, but associated in other days with great histrionic triumphs. The "palmy" period of the Gravesend Theatre was between 1820 and 1830, when under the management of Mr Thomas Trotter, who had the Worthing circuit, the best actors of the London stage appeared upon its boards during the summer vacation. Trotter, who lived till a very advanced age, lies buried in the Gravesend cemetery, and after he surrendered the reins of management the theatre never recovered permanent prosperity. The above text in quotes was first published in the ERA, 2nd of June 1883. The Salvation Army Citadel, formerly the Theatre Royal, along with the adjoining Eagle Public House and a Builders Yard, were all demolished in 1969 for the construction of a new Tesco Store on the site which opened in 1970. The Salvation Army then moved to new premises at The Grove where it remains to this day. 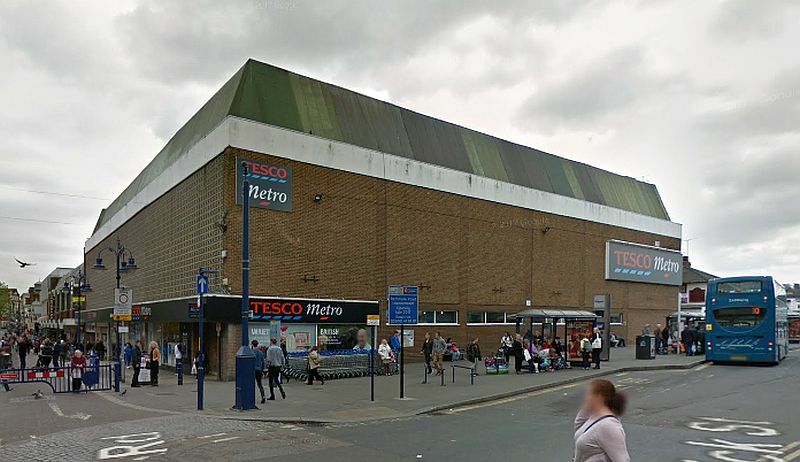 The Tesco store apparently carries a plaque commemorating the former Theatre Royal. James Fernandez is known to have performed at the Theatre Royal, Gravesend in January 1856. Archive newspaper reports on this page were kindly collated and sent in by B.F.